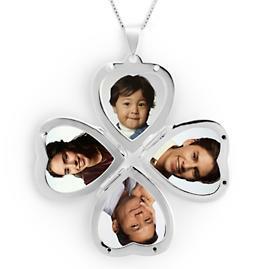 Etched Four Photo Locket : All Gifts Online, Distinctive Gifts for All Occasions and Every Budget! Lockets date back to the Victorian era when it was very popular to monogram them and put photos or a child's curl inside. The tradition of personalizing these unique mementos remains, and these heirlooms are now more admired than ever. 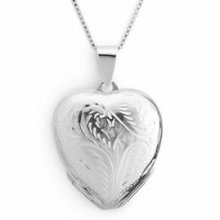 In sterling silver with room for four of her favorite family photos. Our price includes S&H via Ground.